Tettiera® just launched the perfect match to be enjoyed with tea. 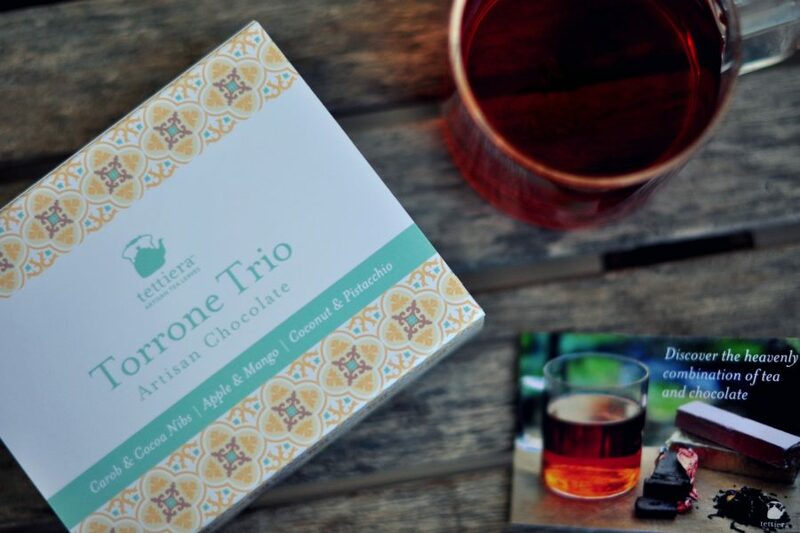 A trio collection of chocolate torrone made specifically to compliment selected blends from the Tettiera whole leaf teas. 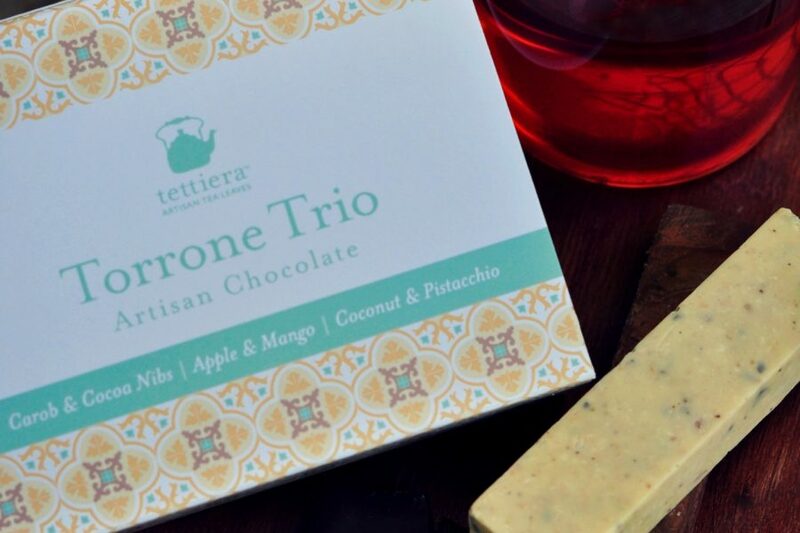 The collection consists of three artisan torrone bars that have been created by a local artisan, Charles Aquilina, creator of his own brand Oil & More. The Tettiera® tea devotees wanted to create a unique combination of different mouth-watering flavours that will create an even more unique tea ritual experience. The milk chocolate torrone bar has been created with Maltese carob and cocoa nibs. The carob is taken from the same carob trees as the Tgħanniqa Black tea blend which creates the right tea paring together with the Morning Tune black tea blend. The 54% dark chocolate torrone is flavoured with apple and mango. The tea paring suggested are the Darjeeling Sungma Muscatel black tea, the Formosa Bai Hao oolong tea as well as the Mango Twist green tea. The white chocolate torrone bar is flavoured with coconut and pistacchio. The tea pairing suggested would be the Thai Chai and the Rooibos Vanilla. 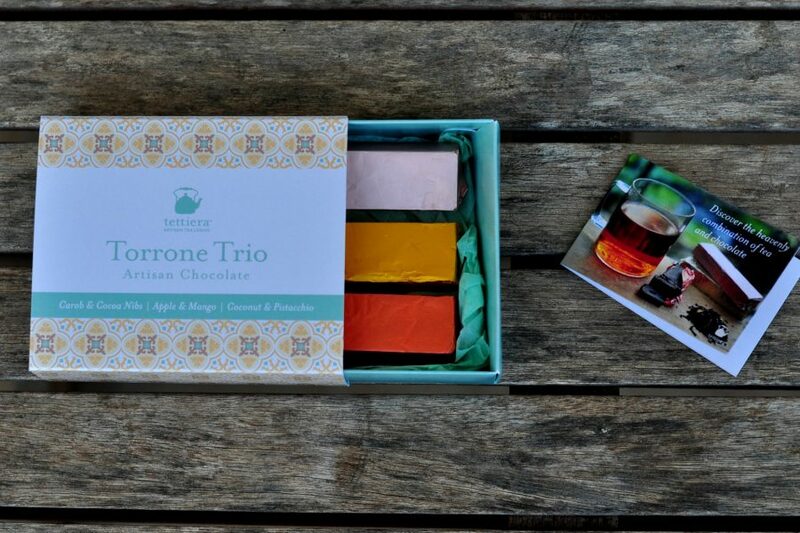 These 3 torrone bars are packed in one compact cute gift box totalling to 135g that has been designed by our collaborative artist Stephanie Borg®. Enjoy this special artisan chocolate torrone made with love and dedication to perfect your tea-time experience! This collection can be bought in one single box and also as part of our Exploring Tea Gift Box that includes 13 blends packed in eco tea sacks, a surprise reading book and the torrone box. This is a small batch production with limited available stock. Oil & More is all about genuine home-made products prepared from local and seasonal ingredients. Traditional delicatessen and chocolate are two of their specialities. Daniela and Charles Aquilina , are a husband and wife team, both ITS graduates who worked for 10 years in various catering establishments in the UK. Charles held the position of executive sous chef at Wyboston Lakes in Cambridgeshire. He also won numerous local and International culinary competitions. Daniela, worked at Woodland Manor hotel in Bedfordshire for 7 years in various roles which included F&B supervisor, receptionist and Duty Manager. After moving back to Malta, 3 years ago, they decided to start producing their range of homemade products based on local and fresh ingredients .This led to the creation of Oil & More, who take part in various Artisan Markets and Food Fairs on a regular basis. Customers are very welcome to come and sample their products during these events and /or contact them on their Facebook Page ; Oil&More ,for more information and a private sampling session.